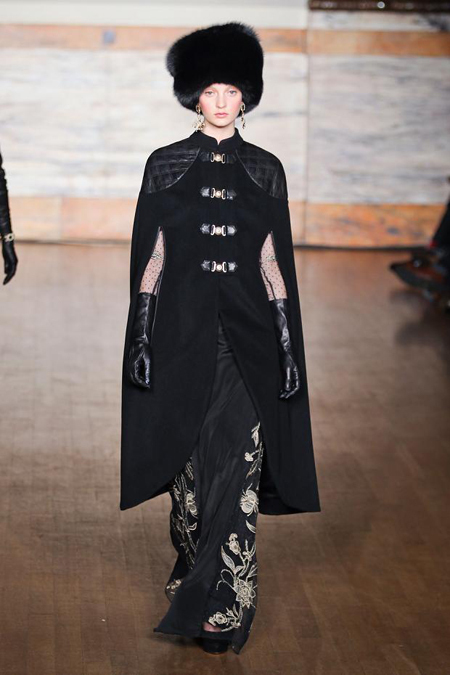 When looking through the other day on whats been happening during London Fashion week I fell in love with Temperley's collection. 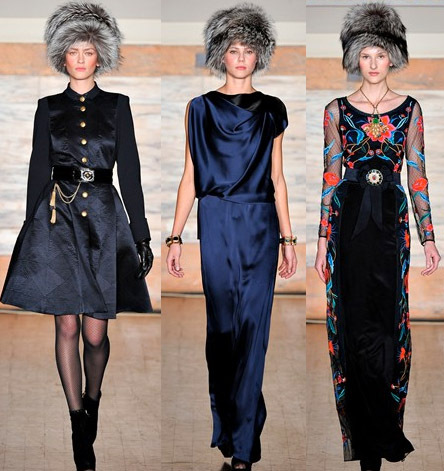 This collection defiantly has been influenced by Slavic culture, particularly Russian. I love the big fur hats I think it makes the whole collection look very elegant. 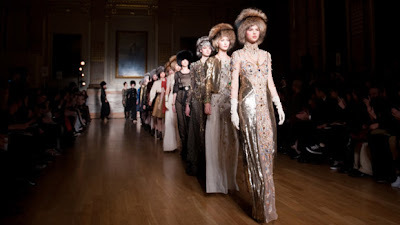 There long gowns which were printed and beaded, which made the look very romantic. There were also some long military coats,which had leather decorations on.